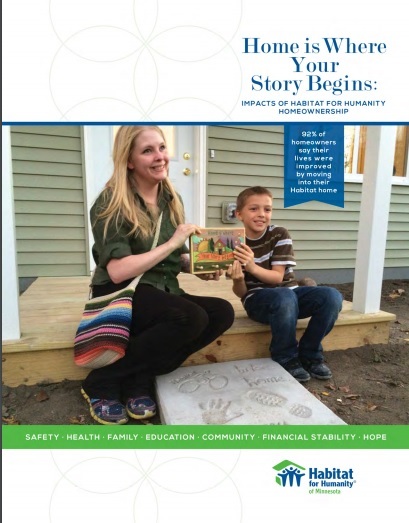 Habitat Minnesota collects data and conducts research to help policymakers understand the need and benefit of affordable homeownership and helps affiliates tell their stories of the power of homeownership through data to back up the powerful testimonials of Habitat families and volunteers through its monthly UFF-DA Report and the 2015 Homeownership Impact Study. What do the findings tell us, in total, about the impacts of a Habitat home on the lives of homeowners? The research suggests that Habitat’s combination of financing and financial contributions, volunteer power, services for homeowners, and homeowner sweat equity results in an improved quality of life for program participants. In doing so, the program enhances the human, social, and economic capital of our communities, resulting in benefits for all. Contributes positively to young people’s participation in school and their academic performance. Increases or maintains feelings of financial security for most homeowners, enabling many of them to have more money to spend on their families than they had previously. Positively affects feelings of safety. Is associated with less use of government assistance programs. Tends to promote greater social connectedness and participation in community activities. 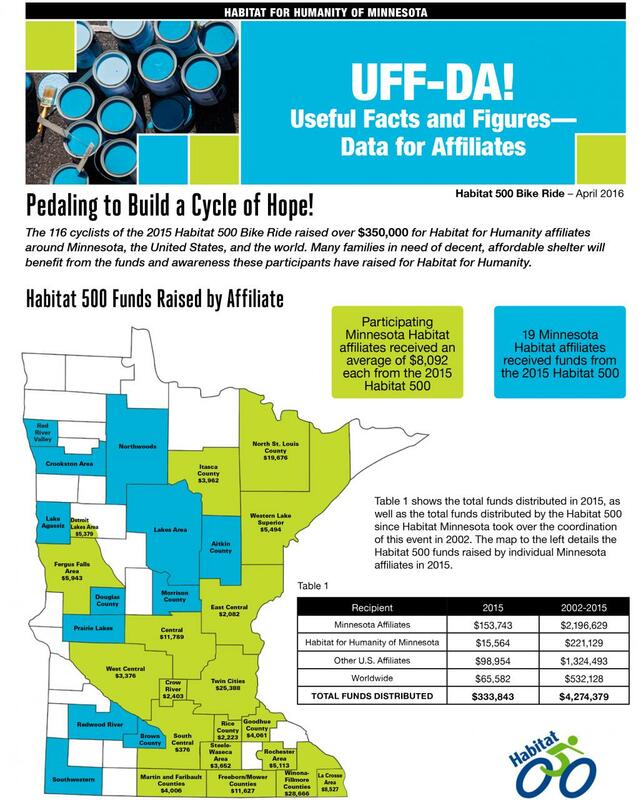 Cost-benefit analysis indicates that all of these positive outcomes for the 2,200 Habitat homeowners in Minnesota amount to a reduction of government assistance needed by $6.4 to $9.3 million annually. Completed in February 2018, you may download the entire report or the individual sections below. Use these marketing materials in your own communities to let people know the benefits of homeownership. This study builds upon a pilot study, conducted in 2011, to understand the impact of the Habitat program on the quality of life of homeowners. The current study examines several dimensions of the lives of homeowners and other household members: education, health, employment, social connectedness, feelings of safety, and other topics. Habitat for Humanity of Minnesota and affiliates suspected that the Habitat homeownership process does more to enhance quality of life than just put a roof over people’s heads. This study offered the opportunity to empirically confirm that suspicion and provide data to help Habitat affiliates tell the story of how Habitat works, helping them to recruit more partner families, volunteers, and donors. For UFF-DA Reports created before 2017, please visit our UFF-DA Archive!